This topic contains 18 replies, has 6 voices, and was last updated by OldBen1 5 months, 2 weeks ago. I tried my hand at scratch building ships. It wasn’t as difficult as I thought it’d be but I wasn’t making them accurate to an class/design. The largest is 20mm long and smallest is 15mm. This topic was modified 5 months, 2 weeks ago by Thomaston. Lol, I didn’t expect this to be a song. 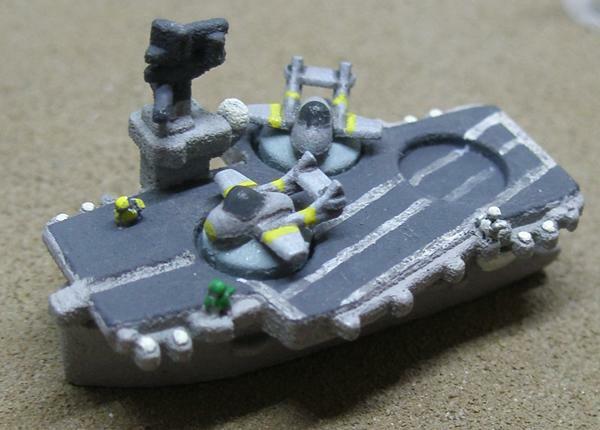 I really like these, you could probably even use old battleship minis. i would really like to do a big stomp robot project like this. Any ideas? Can you give more details on the big stomp robots? With legs I think it’s easiest to convert and add putty onto 15mm or 10mm power armor. All joking aside, they are good looking ships. Would you please explain a bit more about how you built them? 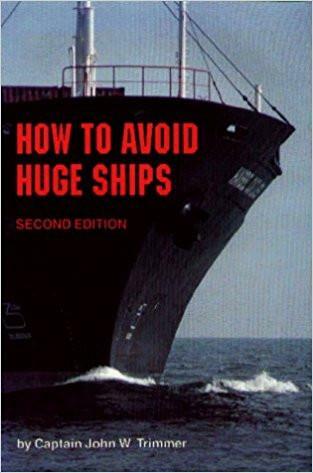 Yup, that book as a wealth of resource, although I got the much updated 4th edition. I love all the ingenuity, especially at such a small scale. I wish I was a better painter, I found these microscales hard to paint. As for the stompy robots, I would like to buy some 15mm mechs and some small ruined city terrain and have a big battle. You could make up a few quick tables for different types of weapons. Ironwind metals have some nice mechs. I think I’m starting to hate you! All you’re stuff is so cool and clean, it keeps inspiring me to get into more stuff, and new projects are the opposite of what I need right now. As usual, you’re stuff is super cool and I’m looking forward to seeing what else you’re getting up to. So, did you use layers of plasticard glued together for the hull that you cut and filed to shape? If so, what thickness of card did you use? Jokes aside, I will say that I am jealous of your scratchbuilding ability. I’ve tried some kitbashing and conversions, but have never had the courage to dive off into your end of the pool. I’ve thought about doing giant robots many years ago and Khurasan minis had some nice potential designs. Their Mekanoids got my attention. Now that I’ve gone back after many years here’s a list of other stuff I’d use for giant robots. Painting was very simple the grey ships had base color, wash and drybrush. Camo ships are pretty random and quite forgiving. No worries, I’m pretty much done with everything I’ve been planning to make, so no more new stuff. Gaming time. Where are your WWII dogfights? You give me too much credit. I’ve had to fix these a lot, note the big chunk of greenstuff on one destroyer. This is my first and for a long time will be my only attempt at this, I’ve been wanting to try it for a while after a friend told me about his scratch building 1/2400 ships. You should try it, I was going to do 1 or 2 to test but it was easier than I thought. I used 2 sheets, 1.5mm (the cruisers to the left) and 1mm for the hull. Light cruisers (second form left) had the hull filed down to about 1.2mm and the aft half filed down some more to make the forecastle. The rest of the ships use 1mm sheet. I thought I’d had to layer them but luckily 1mm sheets were enough for these, I did glue a 0.5mm sheet for the forecastle for most of them. I bought a pack of plasticard off cut a long time ago to make bases with. Investing in some plastic rods would have made my life a lot easier. Portable games with minimal set up is the way to go. You make it look so easy. Forgot to make cargo ships. Found a cute design I like from the internet. Looks like I can’t do notes without spelling mistakes. Well, now I can see how much work goes into those little ships. That destroyer looks awesome! Cool stuff.